No distances, no circles, and you can easily derive an equation. Just a right angled triangle. 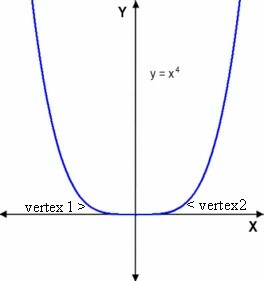 First, the definition of a parabola from the focus and directrix. Find the line at right angles, passing through a point (C) on that line. 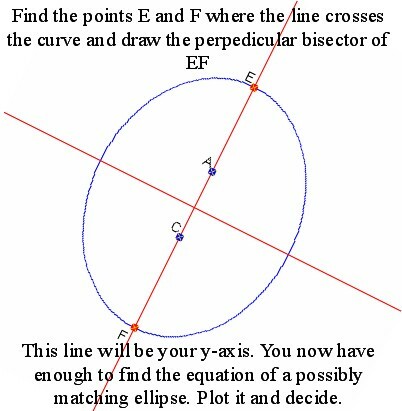 Now find the line from B to C, and the midpoint of BC, which will be D.
Find the line at right angles to BC from D, and the intersection of this line and the vertical line, E, is a point on the parabola. 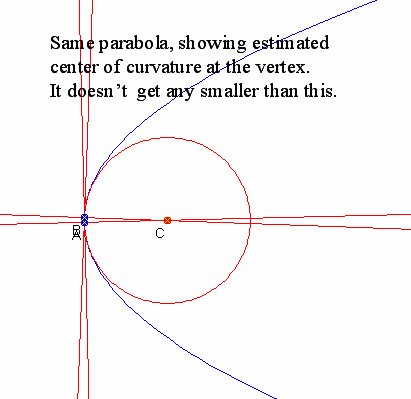 As point C is moved the parabola is traced out. The picture is completed with the line BE. Check it! Following a recent blog post relating a transformation of points on a line to points on another line to the graph of the equation relating the input and output I thought it would be interesting to explore the linear and affine mappings of a plane to itself from a geometrical construction perspective. These linear mappings (rigid and not so rigid motions) are usually approached in descriptive and manipulative ways, but always very specifically. I wanted to go directly from the transformation as equations directly to the transformation as geometry. 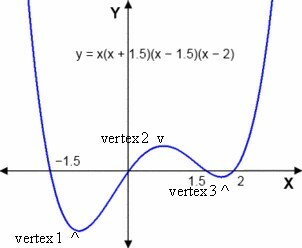 it was necessary to construct a point on the x axis with the value of X, and likewise a point on the y axis with the value of Y. The transformed (x,y) is then the point (X,Y) on the plane. So there is an oval hole in a metal casting. It’s supposed to be an elliptical hole. Is it ????? How can we find out ????? Firstly, get a computer picture of the oval. Take two circles, of different radii, and push them along until each one touches the oval in two places. 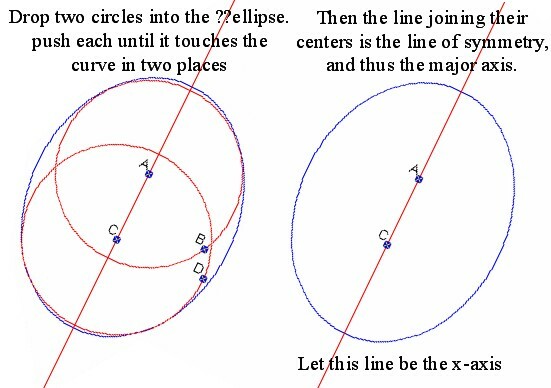 The line joining the two centers will be the axis of symmetry if there is one (this can be shown mathematically). 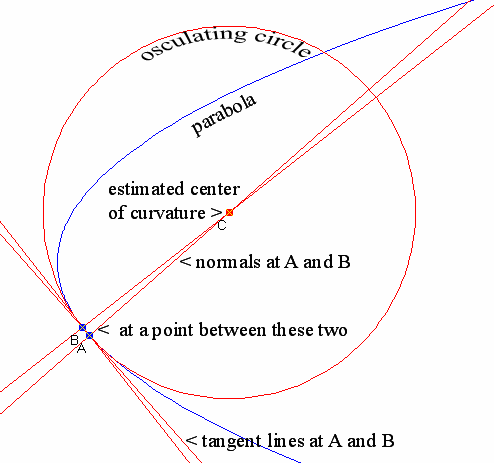 The equation of an ellipse uses the lengths of the major and minor axes. Do it ! 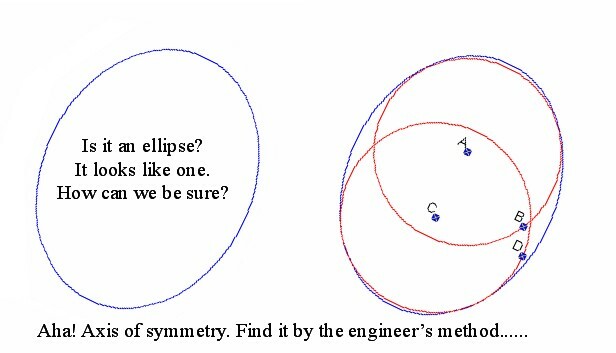 The closeness to elliptic can be assessed in various ways. Think of one.